I know I seem to always say this, but I’m really pleased with the way this one turned out. When I had decided on the construction I thought that as it was going to be so simple, it might not be so effective. 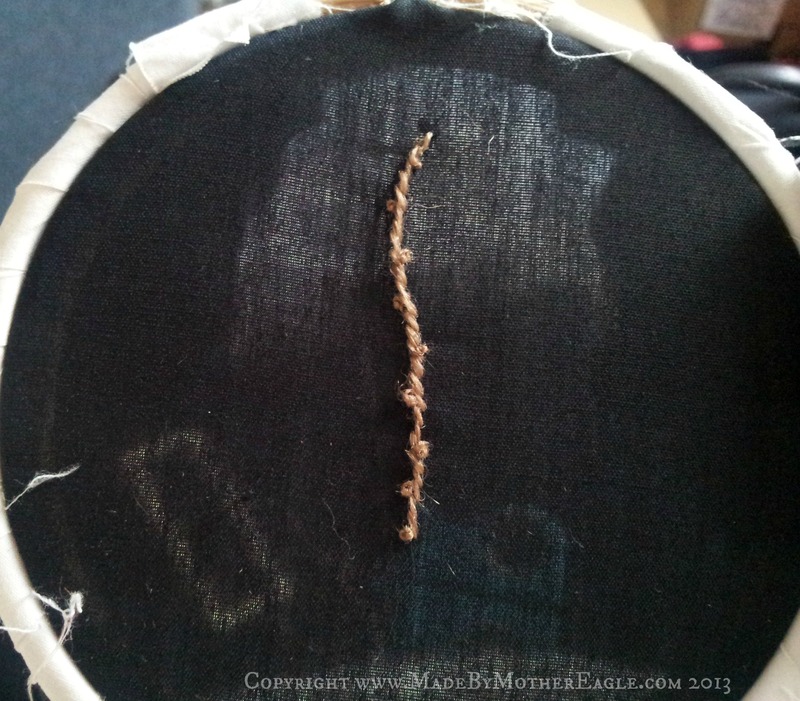 I also wasn’t sure about how the detached woven picots would behave as willow leaves, and whether they would give that twirly, tendril-like appearance. They are in fact infinitely poseable. 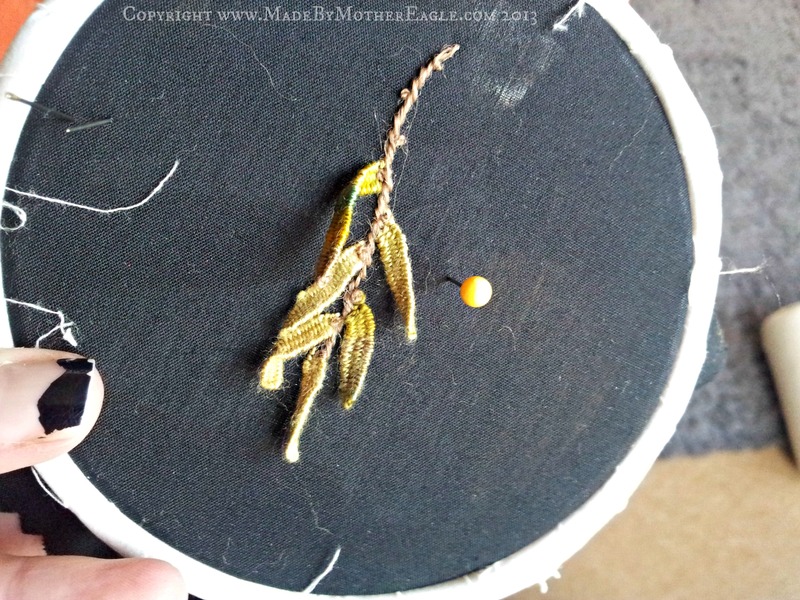 I wanted to achieve with this piece that soft, falling, almost ethereal quality that white willows have in the spring. 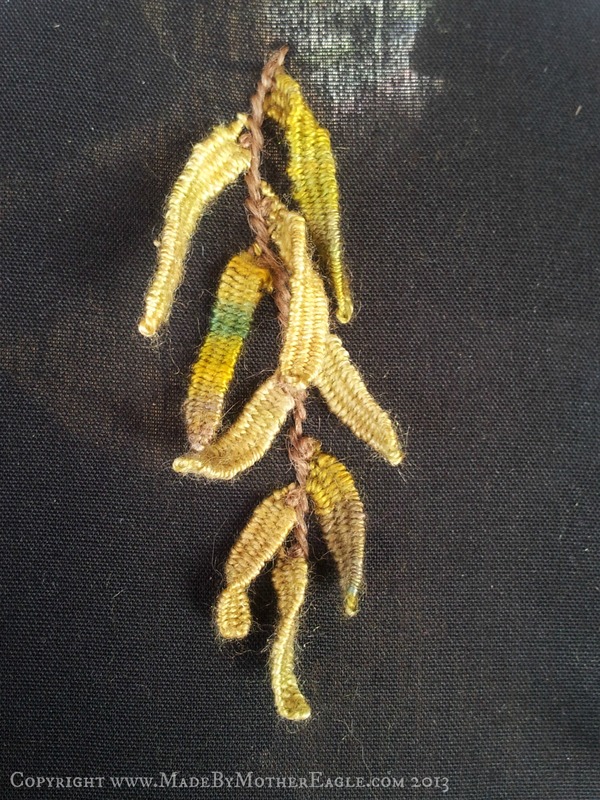 And I’m also really happy that it has a catkin-quality too – maybe because of the yellowy green. 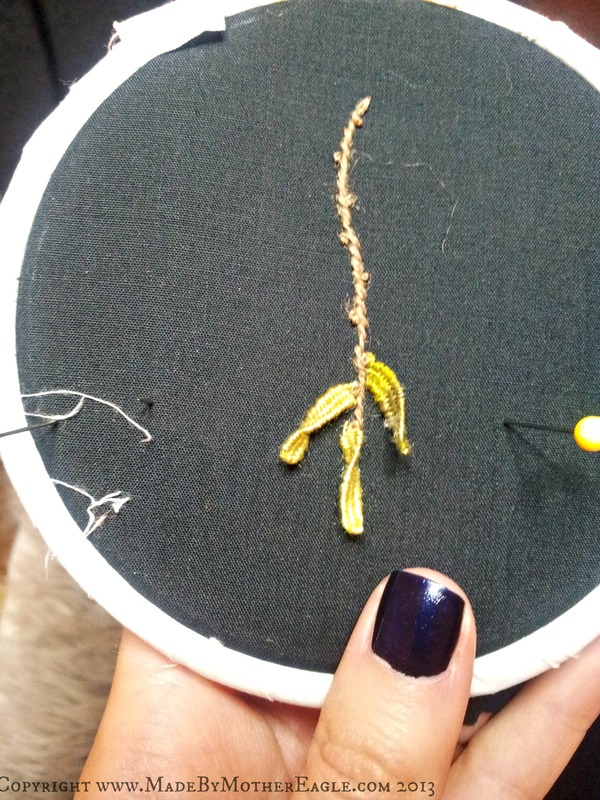 First I used a bit of crewel wool to make a line of stem stitch down the centre of the brooch, then added some french knots to mark the leaf buds. The wool gives a nice furry sort of texture, which I wanted to suggest the fuzziness that willow has at certain times of year. 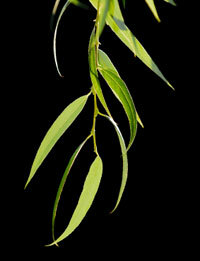 Then I started with the willow leaves. 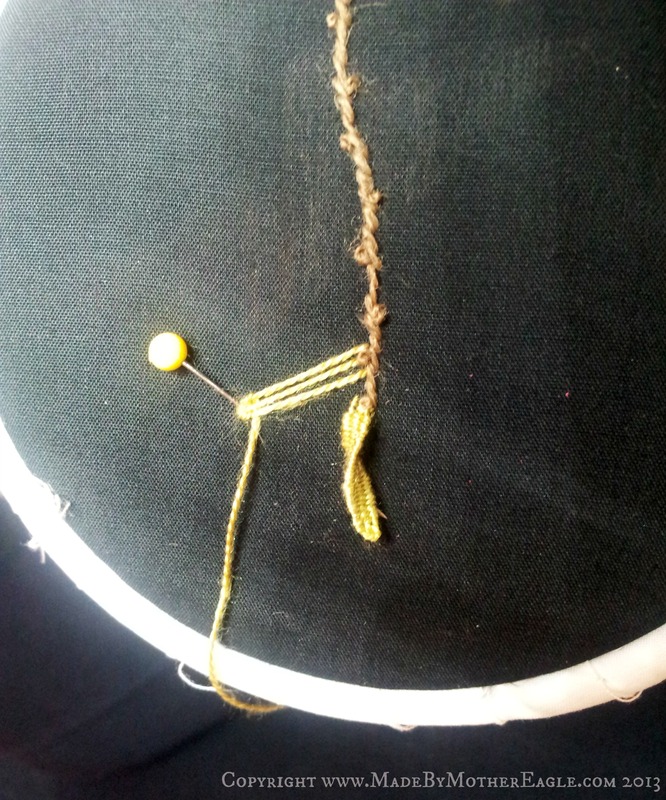 My good friend the detached woven picot comes into his own again here. 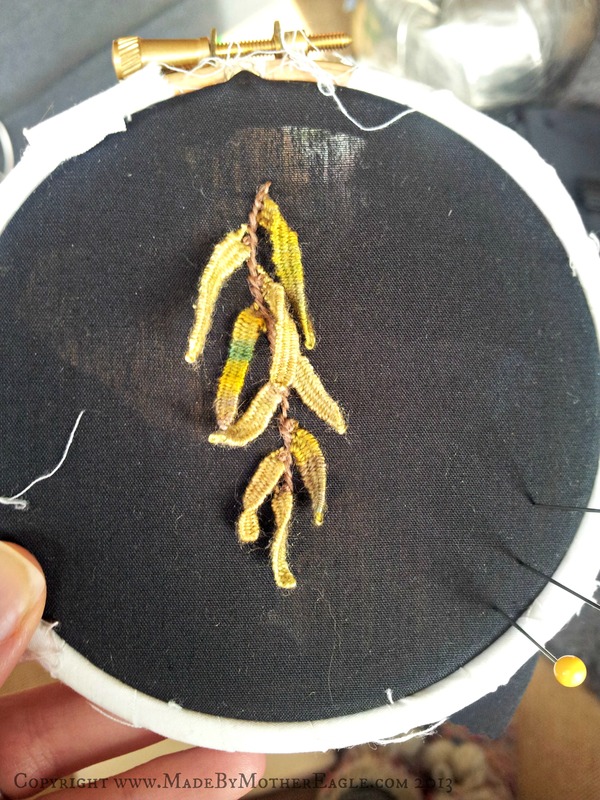 I used 2 different shades of variegated silk here – nice, pale, yellowish green and one with a more mossy tone – and tried to make the leaves as slim as possible. Then it was a simply a case of filling up the branch with leaves! It’s great how the construction of this stitch makes the final picot quite stiff and so you can twist them around and make the whole thing have real movement. Gosh I must try this for my embellished tree bark piece. RU British by any chance?